According to the Department for Education, the percentage of pupils with special educational needs has increased for a second consecutive year. So, the responsibility lies with teachers to ensure they are doing everything they can to accommodate these pupils, and make their educational experience fun and informative. I spoke to a Teaching and Behaviour Support Worker at an autism specialist school in London, who told me: “The way we offer support is different with each pupil but overall, it is important to be patient. When working with a child with autism, you need to match their energy; are they being enthusiastic or calm? Take note and adjust accordingly. Bullying can be so detrimental to a child’s wellbeing, but a new study in the journal Autism has reported that collaborative music lessons in schools can improve the attitudes of pupils towards their peers with autism. 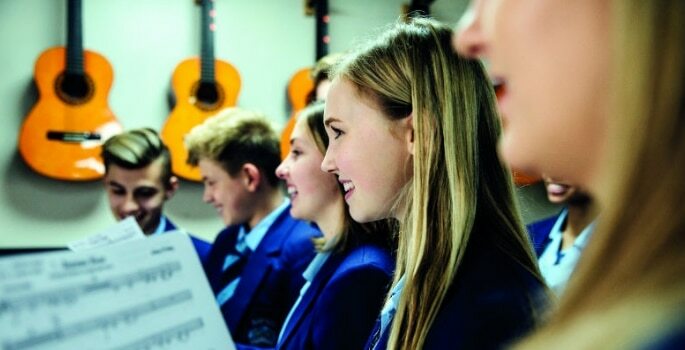 Led by Anna Cook, PhD student at the University of Surrey, the research investigated the impact of school-based music lessons on children aged 9 to 11-years-old, both with and without autism. With one group (a combination of those with and without autism), and a second group (just those without), the children received 11 weekly singing classes designed to increase social interaction and communication skills. Children were asked about their experiences afterwards. The researchers found that children without autism who had been in music classes alongside peers with autism displayed greater feelings of anger and sadness when presented with a scenario of a child with autism being excluded. These findings suggest that putting an activity like this in place in your own school could lead to more inclusive behaviour, helping to prevent children with autism becoming isolated. Music, in many studies and examples, is proving to be a fantastic tool for better interaction between children, encouraging them to bond and have fun together. Catherine Mulley, Director at Pozzoni Architecture, has looked at how good building design can positively impact the wellbeing of all who use it. This includes designing buildings for special educational needs. Catherine said: “With SEN projects, it’s particularly important that every element of design is shaped around the pupil and their wellbeing. Following our experience working on the National Autistic Society’s Church Lawton School, we developed a design guide for school buildings for children with autism spectrum disorder (ASD). “It’s important, for example, to avoid open-plan, mixed-use spaces, in order to reduce anxiety and stress in those with ASD. Calming environments can be created by paying close attention to the acoustics of a building, ensuring that sound does not travel. “Of course, these are just a few examples of what we look to include in this type of specialist build, and ensuring student wellbeing comes down to the finest of details. But workplace wellbeing, whether physical or mental, should be considered in all built environments.